Williams Lake, October 18 2016. 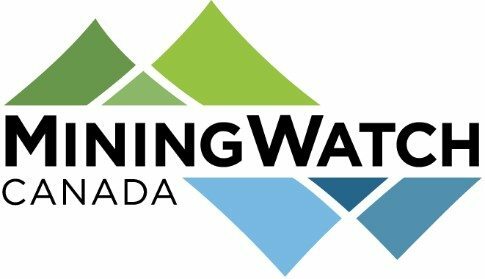 MiningWatch Canada today filed a private prosecution against the B.C. government and the Mount Polley Mining Corporation for violations of the federal Fisheries Act in connection with the largest mine waste disaster in Canadian history. The mining watchdog claims that the massive 2014 spill was caused by the negligence of both the Province of B.C. and the Mount Polley Mining Corporation (MPMC), owned by Imperial Metals. As such, MPMC and the Province of B.C. are being charged for violating sections 35(1) and 36(3) of the Fisheries Act. 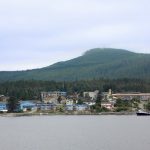 MiningWatch is taking action now because almost two and a half years after the disaster, the Crown has failed to lay charges and enforce the Fisheries Act, despite clear and ample evidence to justify proceeding. MiningWatch filed the charges this morning in Provincial Court in Williams Lake. It used a specific provision of the Canadian Criminal Code which allows any citizen to initiate a private prosecution if he or she believes, on reasonable grounds, that a person has committed an indictable offence. These reasonable grounds clearly exist in this case, under the Fisheries Act. This safeguard has been used several times recently in BC, including for biologist Alexandra Morton’s claim against the fish farm Marine Harvest Canada, which plead guilty for illegal possession of wild juvenile salmon, as well as for Marilyn Burgoon’s case in 2014 against Executive Fuel Flight Services in relation to a spill of 33,000 litres of jet fuel into Lemon Creek (case ongoing). Lapointe says MiningWatch has a legal team prepared to carry the case to full trial if necessary, but also recognizes that the cost and expense associated with prosecuting a case against a mining corporation and the Provincial Government can be immense. For this reason, MiningWatch will be asking for the Federal Crown to carry the prosecution forward—which can decide to take over the case, or not. “If Canada’s unique environmental values and waters are to be fully protected, it can only occur if the government stands against violations of the Fisheries Act and uses all the means and resources it has at its disposal to do so,” Lapointe says. The next step will be a Process Hearing, which will be set in Provincial Court in Williams Lake within a few weeks. At that time, MiningWatch will present its evidence in more detail about how MPMC and the Province of B.C. failed to implement minimum safeguards, which led to the spill and to violations of the Fisheries Act. Once a summons is issued, then a court date will be held to set a trial date. This legal action is supported by multiple local, provincial, and national groups, including Westcoast West Coast Environmental Law AssociationCentre-Environmental Dispute Resolution Fund (main funder), Amnesty International Canada, First Nations Women Advocating for Responsible Mining, Concerned Citizens of Quesnel Lake, Quesnel River Watershed Alliance, Kamloops Physicians for the Environment Society, Kamloops Area Preservation Association, Wilderness Committee, Sierra Club BC, Fair Mining Collaborative, Rivers Without Borders, British Columbia Environmental Network, Clayoquot Action, Forest Protection Allies, Alaska Clean Water Advocacy. A website will also be launched soon with more information on the case. 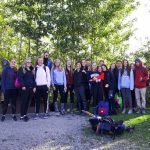 “The disaster that was the Mount Polley tailings pond collapse is not over for those of us who live and depend on the lands and waters, and particularly on the salmon that have always sustained us. Nor is it over for those living in the shadows of other existing and planned mines across BC, who are acutely aware of the government’s own panel of experts who reported we can expect to see two more such failures every decade. What is the point of having laws if governments and industry are not held accountable when they are violated?